Laminated glass is produced when a PVB film is placed between two pieces of glass and is fused together using heat and pressure. 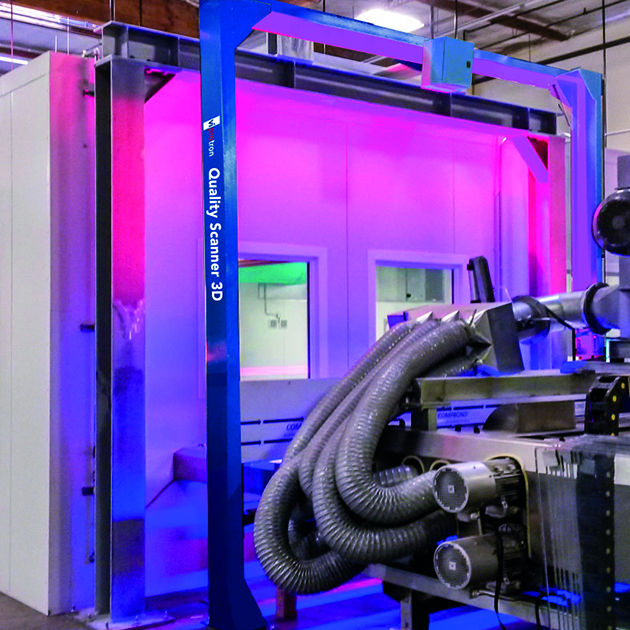 Care and precision are needed during this process, as errors that are detected after the fusion can lead to high costs, since the product has already undergone expensive and time consuming procedures. 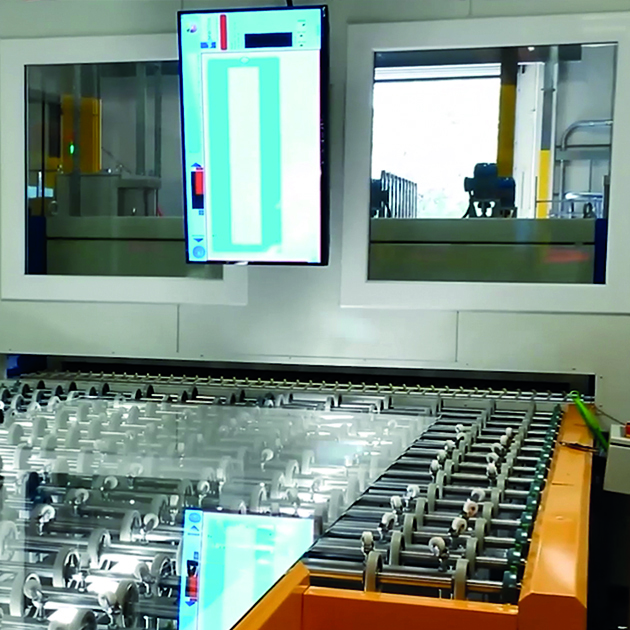 The Quality Scanner inspects the quality of single glass panes. In order to do so, the machines are built into the production line horizontally, right after the washing machine and directly before the clean room. 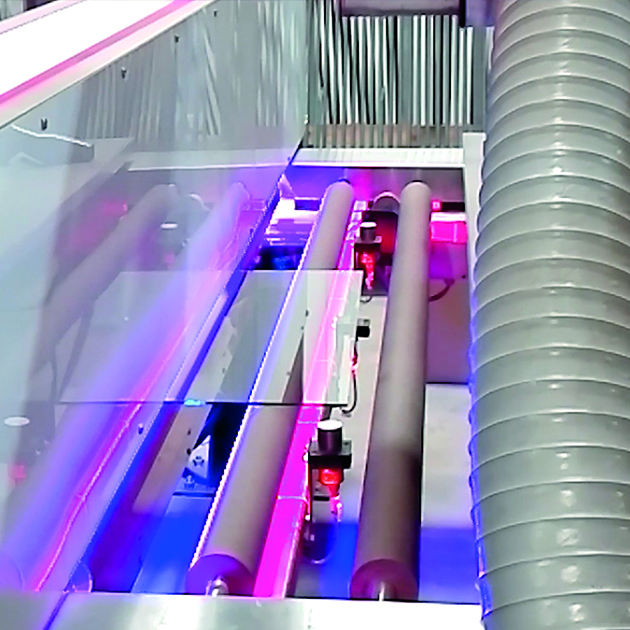 This way, defective glass can be removed before the assembling of the single panes and are either cleaned or removed from the production line. A specific model of the Quality Scanners can also be applied in the clean room. Here the scanner checks the stacked panes with the PVB film in between once more for any dirt or impurities, despite the film still being structured. Once the two glass panes and the PVB film have become laminated glass in the autoclave, the Quality Scanner can perform a final check. In this case, the machine is built in behind a separate washing machine.